The U.S. Justice Department has launched a criminal investigation into VW's violations of diesel emissions rules and in January sued VW for up to $46 billion. WASHINGTON -- A U.S. federal judge will hold a hearing Thursday that may offer the first details on any progress in settling over 500 lawsuits filed against Volkswagen Group, a top supplier and many current and former top executives over excess emissions in 580,000 U.S. diesel vehicles. On Monday, lawyers representing owners filed a consolidated 719-page complaint against VW, supplier Robert Bosch, which helped develop emissions controls, along with VW's current and former CEOs and other executives, accusing them of racketeering, mail and wire fraud, among other misconduct. The plaintiffs are asking that VW be ordered to buy back vehicles that don't meet emissions standards, and pay "significant" damages. The suits have been consolidated before U.S. District Judge Charles Breyer in San Francisco. Lawyers for VW, the Justice Department and owners plan to update Breyer on the settlement process Thursday. Breyer named former FBI director Robert Mueller to help reach a settlement. VW spokeswoman Jeannine Ginivan said the company hopes to resolve the lawsuits. "We support Judge Breyer's efforts, working through Director Mueller, to bring about a prompt and fair resolution of the civil litigation" she said. "We are also committed to resolving the U.S. regulatory investigation as quickly as possible, as we focus on rebuilding trust." German newspaper Welt am Sonntag reported Sunday that U.S. officials want VW to produce electric vehicles in the United States as a way of making up for the emissions violations. VW has admitted to the EPA and California Air Resources Board that it installed defeat-device software that allowed diesel vehicles to emit harmful emissions -- up to 40 times allowable levels in real world driving -- even as the vehicles passed emissions tests. California and the EPA have declined to discuss the status of ongoing settlement talks. Ginivan said VW is "cooperating with the agencies." Suits have been filed by owners, including some who want VW to buyback vehicles, and auto dealers. VW has said it is considering buybacks. "This case arises out of one of the most brazen corporate crimes in history, a cautionary tale about winning at any cost," the complaint said. The EPA declined to comment. VW spokeswoman Jeannine Ginivan declined to comment, saying VW is "cooperating with the agencies." The U.S. Justice Department launched a criminal investigation into VW's cheating and in January sued VW for up to $46 billion for allegedly violating environmental laws. 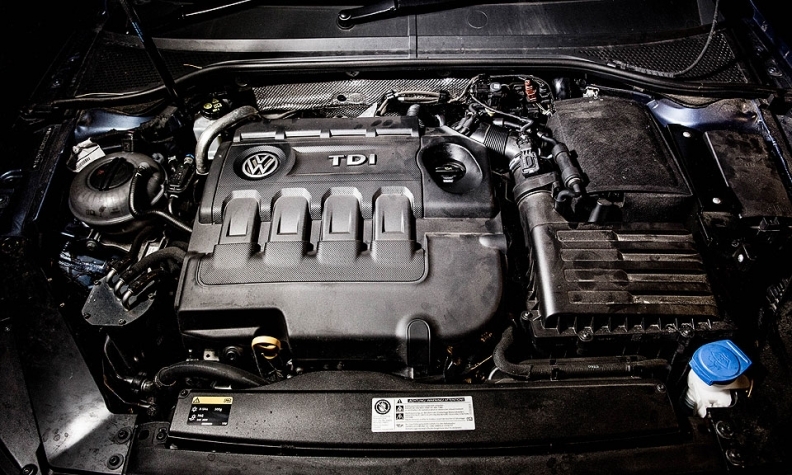 The states of New Jersey, Texas, New Mexico and West Virginia have also sued VW. VW named lawyer Ken Feinberg in December to "develop an independent, fair and swift process for resolving these claims." But more than two months later, Feinberg hasn't announced any program yet.